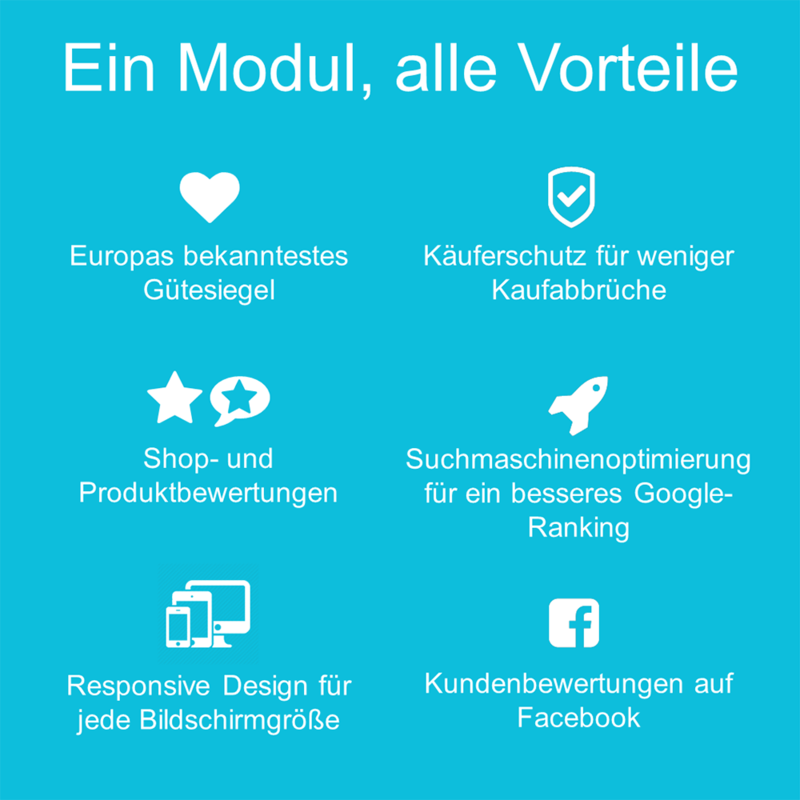 OXID eXchange | Trusted Shops trustmark & customer reviews 2.0.1 | Stable | EE, PE | 4.10.x/5.3.x - 6.1.x | Module, Themes, Language Packs direkt herunterladen! Shop reviews, product reviews, trustmark, Google stars... The Trusted Shops module is the best solution if you want to offer your customers security, generate more traffic and boost the conversion rate of your Oxid-eShop. Benefit now from the trust solution used by market leaders like Zalando, Thalia, Obi, Asos, Soletrader, Uggand many more. 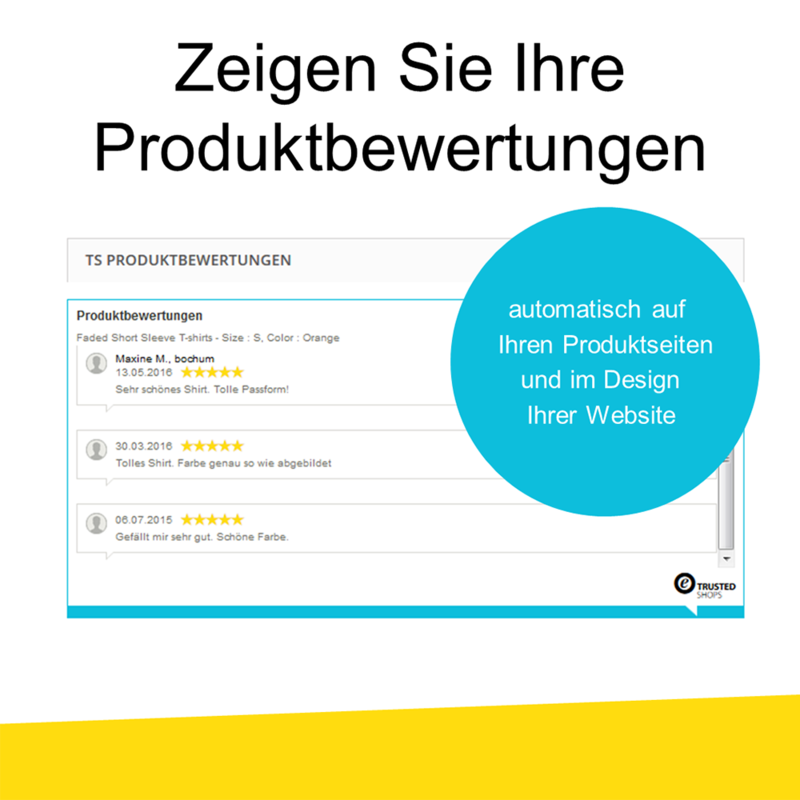 Manage shop and product reviews easily. 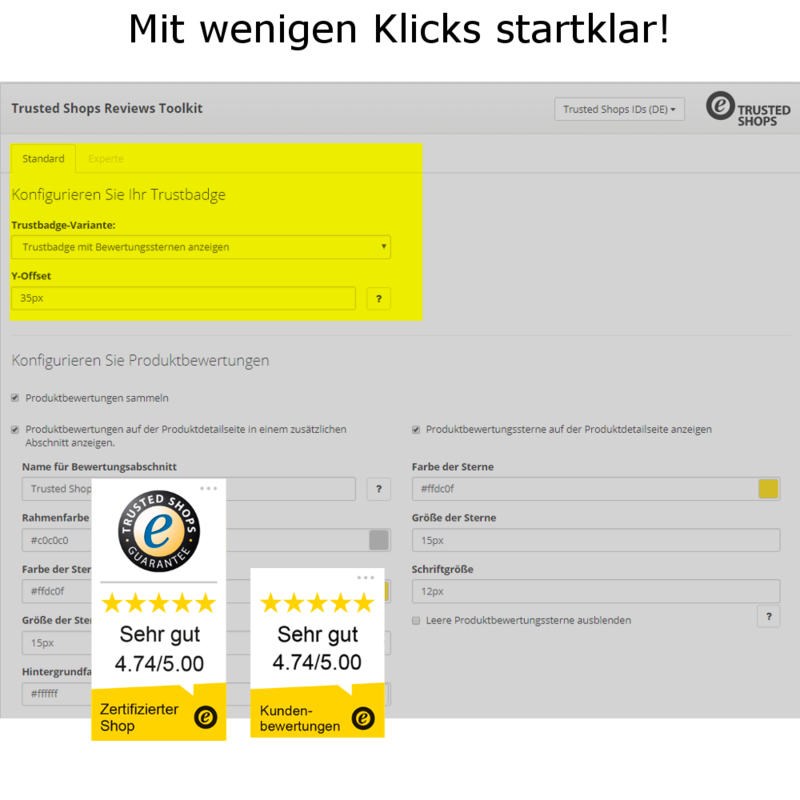 Collect reviews for your Oxid-eShop website and your products via e-mail. Publish reviews to prove the quality of your online shop and optimise your product range based on customer feedback. Trusted Shops is the leading trustmark for secure online shopping in Europe. More than 20,000 internet retailers already fulfil the strict Trusted Shops quality criteria and may display the sought-after trustmark.